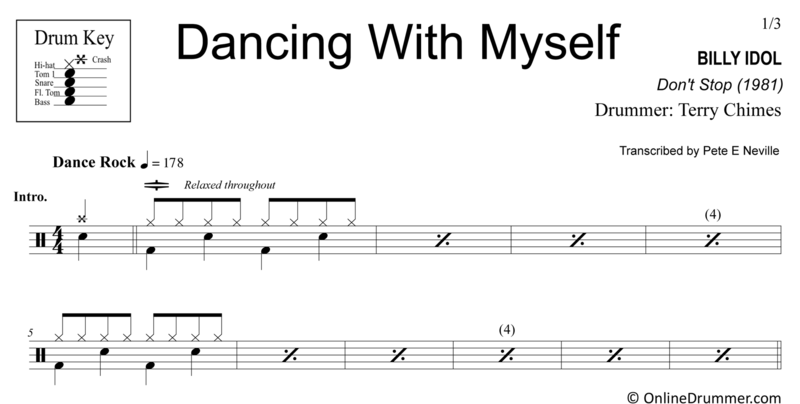 The full drum sheet music for “Dancing With Myself” by Billy Idol from the album Don’t Stop (1981). Dust off your ’80s dance moves and jam along with Billy Idol’s upbeat hit, Dancing With Myself. This drum sheet music transcribes the extended version from the album Don’t Stop (1981). The same drum track was used in the 2001 digitally remastered version, as well.